New coalition was announced at annual meeting of Healthy Aging Task Force last week. Healthy Aging Martha’s Vineyard, an all-volunteer coalition founded in 2013 to tackle the needs of the Island’s aging population, announced last week a new collaboration with Martha’s Vineyard Community Services and the Martha’s Vineyard Commission. Under the new agreements, Community Services will be the coalition’s fiscal agent, providing the office support needed to operate Healthy Aging and manage its finances. The long-established human services nonprofit will also assist with communications, outreach, marketing and the Healthy Aging website, which is currently offline. The Martha’s Vineyard Commission will contribute planning support, projections and analysis of the Island’s population and other data, and grant and writing services. Available numbers already indicate that the Island is aging rapidly, Ms. Moore said. The coalition plans to ask the six Island towns for about $71,000 a year to hire an executive director. While Healthy Aging has received grants and private funding for programs and services, “it’s not at all easy to find money for operations and staff,” Ms. Moore said. Community Services and the commission will join the executive committee of Healthy Aging, which also has an independent board and will retain its autonomy. 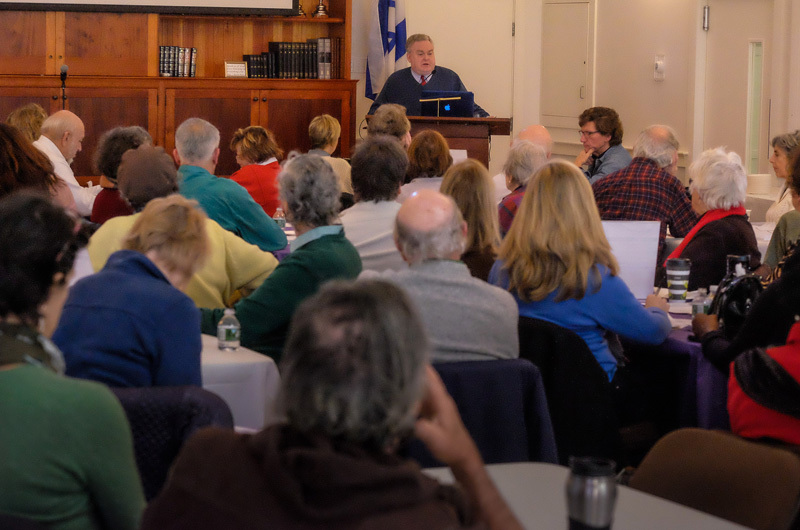 The new agreements were announced at Healthy Aging’s annual community meeting last Thursday morning at the Martha’s Vineyard Hebrew Center. About 50 people attended the half-day session, which began with an energetic keynote speech by David P. Stevens, executive director of the Massachusetts Council on Aging. Mr. Stevens praised the Island’s network of Councils on Aging, in which services vary from town to town. Not every senior center can offer all the services elders need, Mr. Stevens said, and the pool of available funding is growing more shallow. Martha’s Vineyard has taken the lead with a regionalized approach, he said. While upbeat in his delivery, Mr. Stevens had some sobering news to share. The new federal budget aims to slash services for elders, he said. Holly Bellebuono has been named the executive coordinator of Healthy Aging Martha’s Vineyard.